One more worth & exciting week end, always I will think I need to go for ride with some bullet group. Because most of the time I am riding alone. Finally my dream came true this week end. I came to know about Silver Bullets (www.silver-bullets.org) Royal Enfield motorcycle club through Jayan S R(jayansr.blogspot.com). Very good people. Ride 1: started the ride from BTM, Bangalore on 01/Mar/08 at 6.30 AM traveled in Bangalore – Mysore high way(SH17). Before reaching mysore city we took deviation and joined in Bandipure High way(NH212). (This road will go through Bandipure National Park and Mudumalai National Park) we traveled in the same road & reached Kalhatty(15 km before ooty) at 1.30 PM. Totally we took 7 hrs to cover 293km with 2 break. 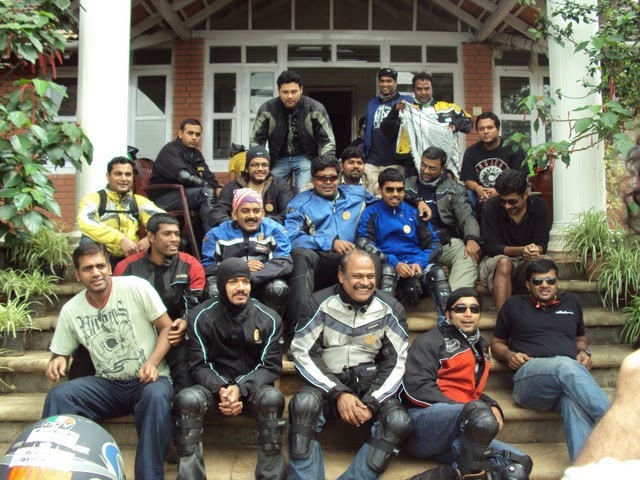 Ride 2: In evening we went to ooty(21 km from Kalhatty). 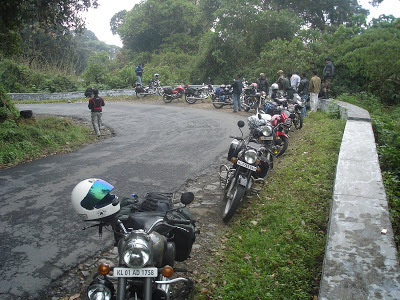 then we started 17 km ride from ooty to coonoor. we spend some time in coonoor and came back to Kalhatty at night 9.30 PM. Ride 3: on 02/Mar/08 1:00 pm, we started our return journey to Bangalore from Kalhatty at 1.00 PM in the same way & reached banglore at 8.00 PM with two breaks. Totally our round trip comes 654km in 2days. 01/Mar/08 06:30 AM we(jaayan, Jo, jumbo & myself) started from BTM, Bangalore and reached Kalhatty at 01.30 PM. I really enjoyed this ride with group and following the proper signal. Its very good experience while riding in forest like Bandipure National Park & Mudumalai National park. We seen some of the animals (elephants, etc) while riding in this forest. (Moshaii & GK came to Kalhatty in evening). 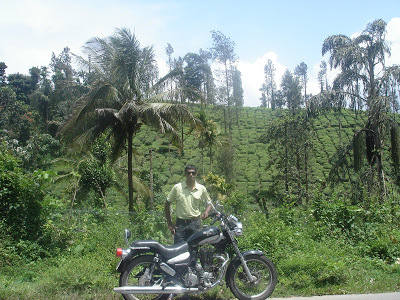 01/Mar/08 05:00 PM we(jayan, Jo, Jumbo & myself) went to ooty/coonoor & came back to kalhatty at night. We visited the loco shed near coonoor railway station. 01/Mar/08 10:00 PM its fun time in camp(we had camp fire). We had wonderful entertainment for complete night because of GK. he is singing Malayalam songs for full night. 02/Mar/08 10:00 AM we went for trucking. Good exercise and seen very good bungalow top of the mountain. 02/Mar/08 01:00 PM we stared our ride back to Bangalore. 02/Mar/08 08:00 PM I reached my home, marathalli, banglaore. Wonderful experience with Wonderful people !! Thanks to Jayan, Jo, jumbo, Moshaii & GK. Impressive!! I had two trips, one is from Bangalore to Ooty and other is from Bangalore to Kannur, traveled with Spl+ (hard to believe!! ), but both of the trips I could not a find a single guy as companion!! (not because of the bike I use). I am really happy atleast somewhere there are people those are really making it together!! Happy biking!! I will suggest, you can join any of the Motorcycle Group, Where you can ride in the group and get experience from other riders. After that you can plan your own riding based on Time and Money availability. i’m one in your category. Riding is my passion. from the child hood, long rides were my all time favorite. and after i started working i’m on bikes. I own a Roadking and 02 Suzuki Fiero. nature lovers our holidays and ridings are the perfect match. Would be happy to meet you people some time. Let me know which number i can reach you guys. 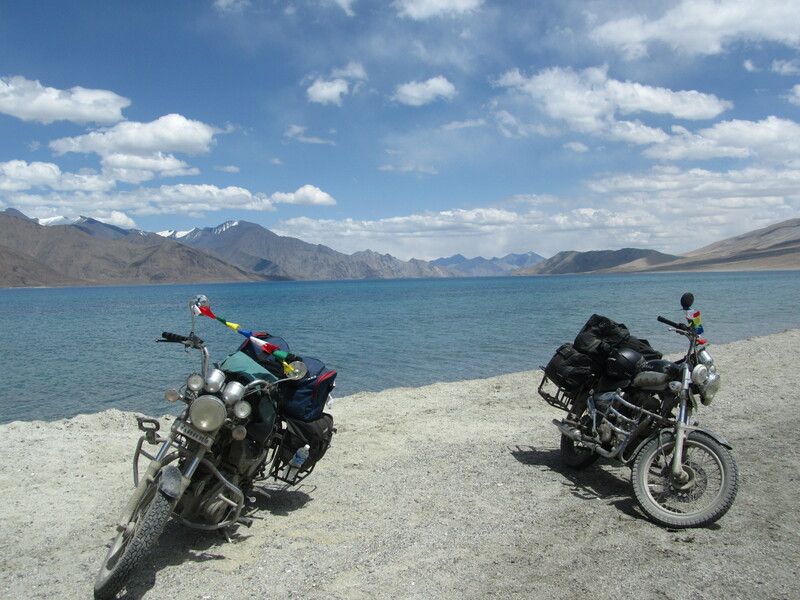 Riding bullet is a wonderful experience that everyone would love to share. I would always love to Join U people for any trips. your always welcome. Join this group http://www.silver-bullets.org . Yes off course you can fine more bullet group !! hi guys nice knowing you all…. i too deadly mountain ride experience.. we covered 3200km this year.. now i’ve planned to start a bike touring club in tanjore….. tell your suggetion.. & udhaya doing great … all his movement is awesome.. best wishes…. Lets Discuss on this man. Thanks. Nice to know that there are so many passionate bulleteers….we have started a club…and looking for passionate people to join us and be one among us.